For the local residents of Ilkley, the beautiful historic spa town, Select Products can offer you the highest quality casement windows and double glazing. Our casement windows will never compromise of high levels of security as well as proving to be the most popular style of window for any homeowner. Each casement window is fully fitted with an internally glazed Synerjy fourth generation profile. It is manufactured from first rate polymer materials which are specifically built to withstand all weather conditions. The casement windows are available in a variety of options from flat, chamfered or Ovolo details which can achieve a traditional aesthetic or a contemporary appearance – the perfect design that’s right for you. Select Products casement windows are available in a wide variety of colours and finishes to help you find the exact match for your property. Our experienced workmen will tailor make your new casement windows to meet your specification and will make sure installation runs as smoothly as possible. Casement windows offer a great alternative to traditional double hung windows. They also have an innovative design that allows for easy access, which is perfect for an alternative emergency escape. They have a single lever design for a single handed opening. The casement windows are therefore ideal for hard to reach places, such as behind the kitchen sink. We are proud to be installing an industry leading product throughout the homes of Ilkley. 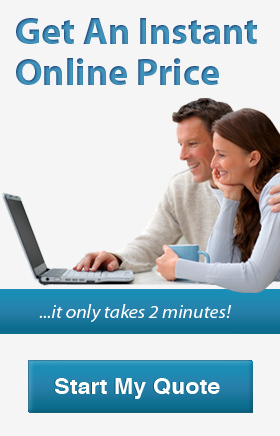 For instant casement window prices, use our online quoting engine today. Our online pricing engine will provide you with a free casement window quote, tailored to your unique specifications.